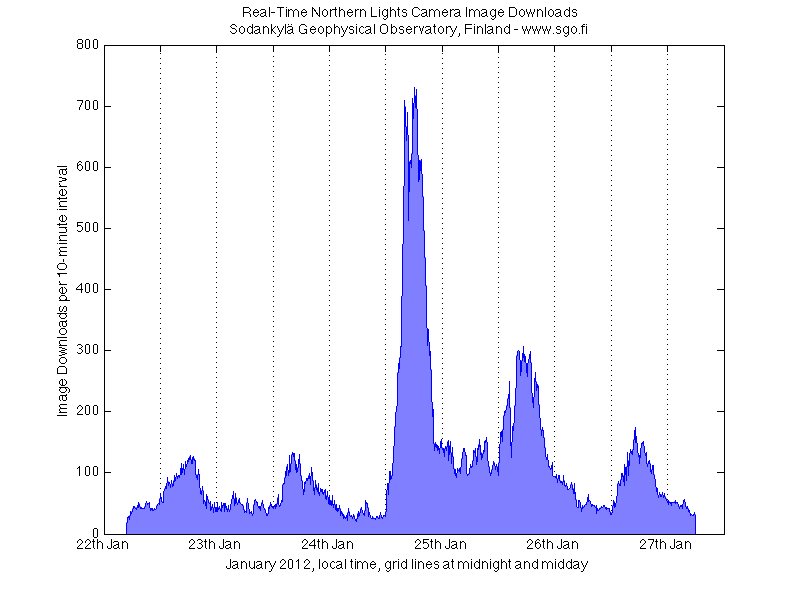 The graph above is a completely different view of the Northern Lights, or the effect they had on humans. 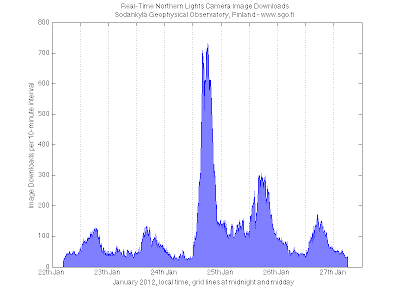 It shows the number of times the real-time image of the all-sky camera of the Sodankylä Geophysical Observatory in Northern Finland was downloaded during the past week, clearly peaking on and after the day the shock wave from the coronal mass ejection (CME) hit Earth (24th Jan 2012). Have a nice weekend, and keep hunting for the aurora!